There’s a quote from my favorite movie, Playing By Heart, that goes “Talking about love is like dancing about architecture.” I feel the same way when it comes to writing about music. I’m not a professional critic, but I am a singer and I know what I like. And I like Neil Jackson (and not just because he’s hot and British). I’ve followed Neil’s music for about a year now, back when he was just posting videos of him singing and playing his guitar in a little room on YouTube. 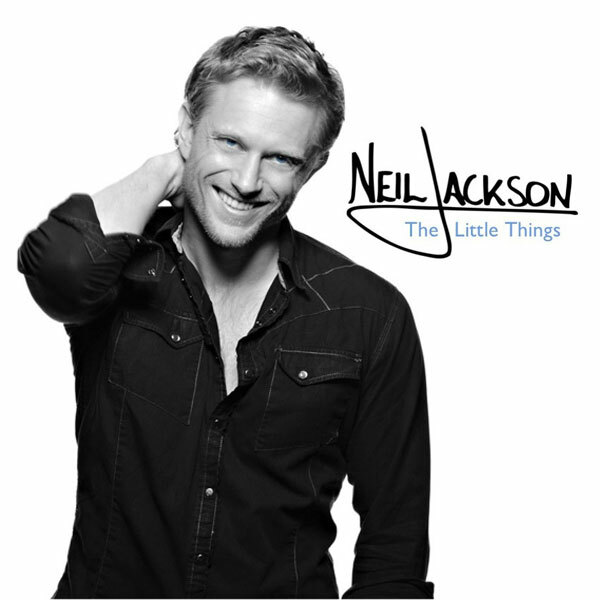 (I guess that makes me a Hipster Neil Jackson Fan? Ha!) Because this was my introduction to him as a musician, I think he sounds best when you can hear his fingers, plucking the guitar strings as he croons the lyrics. His voice is smooth and rich, a soothing balm on my soul. This was the first single (and video) from the album, but I think it’s the biggest outlier from his usual style. It’s more produced than any of the other tracks and even his accent fades when he sings. I enjoy the lyrics and melody, but I don’t think it’s indicative of the rest of the album. The lyrics on this one weren’t my favorite, but I’ll listen to it over and over again for the lead guitar line. The faint bongo drums in the background give this a California feel, and I can easily imagine driving down PCH in the sunshine. As Neil tweeted about his experience recording the album, I was most curious about how the songs I was familiar with from YouTube would sound when properly recorded and mixed. The addition of a piano to the guitar helps balance the vocal effects, making it feel more produced. The last 30 seconds where everything drops out, except the piano, is exceptionally beautiful. It’s hard to keep the grin off my face as I listen to this little ditty. The pickin’ guitar and the rhythmic clapping just make me happy. It’s damn catchy and I know I’ll have this one in my head for a while now. Sad, whispery Neil with a guitar may be my favorite version of him. I really like the way the orchestra sneaks in gradually as the song goes along. There are moments when it overwhelms his subtle vocals, but the melodies are so pretty that I don’t really mind. And we’re back to peppy and catchy, which just makes me smile (as does the surprise falsetto before the chorus). Again, this feels very California (shout out to the 405!) and I see the video taking place on the beach with lots of laughing, Frisbee and frolicking in the waves. His vocals feel very American, almost country, especially the little laugh at the end. Neil’s British accent is back in full force on this track, which is fantastic. The guitar lines are even better than the YouTube version and his vocals are smoother, drawing you into the story of his Manic Pixie Dream Girl. I could have done without some of the other filler instruments, but that’s probably because I’m used to the stripped down version. I had to laugh at Neil’s use of “groovy” in the chorus (don’t worry, I had a similar reaction when Matt Morrison used “demagogue” in one of his songs), but then it gets sad, and I felt a little bad. It’s not my favorite track, as it has a lot going on, vocally and instrumentally. I’d be curious to hear the story behind this one. This is my new favorite song! It’s got a great jazzy piano/snare drum backing to Neil’s whispery vocal, evoking visions of dancing in a smokey club in a slinky black dress with a beautiful man. The trumpet solo in the bridge is unexpected, but it fits with the theme, even if it is a bit louder than the mood previously set. I absolutely adore the guitar line in this song and I love that Neil kept this one so simple, just acoustic guitar and his vocals. It’s the truest to the YouTube version, and yet the quality is just SO much better. This is the second single off the album and the video will be released next week. It seems much more indicative of Neil’s style, while incorporating the orchestra. And it only seems appropriate that the album end with a sweet guitar line. I was already a fan, but the album has lived up to my expectations in almost every way (still needs “All That I Am!”). I’m hoping that there will be a live tour or at least a few shows in California because this music begs to be heard live. In the meantime, the digital download of Neil’s album is on sale at his website for $8.00 ($1.99 less than Amazon and iTunes), making it a great deal while putting a few more pence in Neil’s pocket.